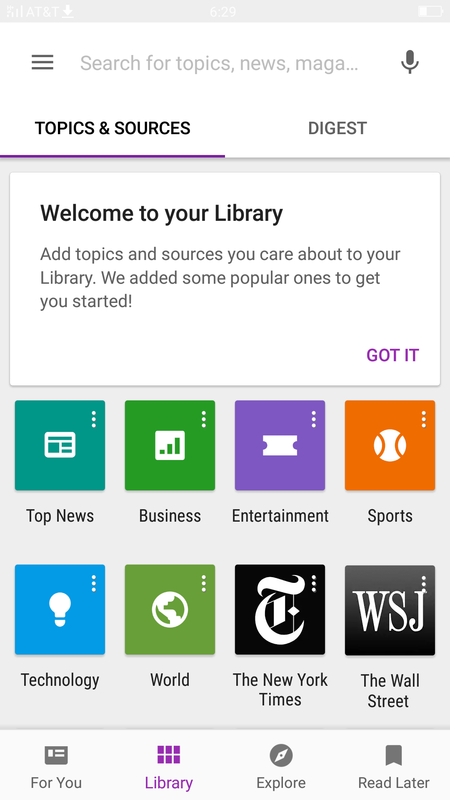 How many of you use Google Play Newsstand? 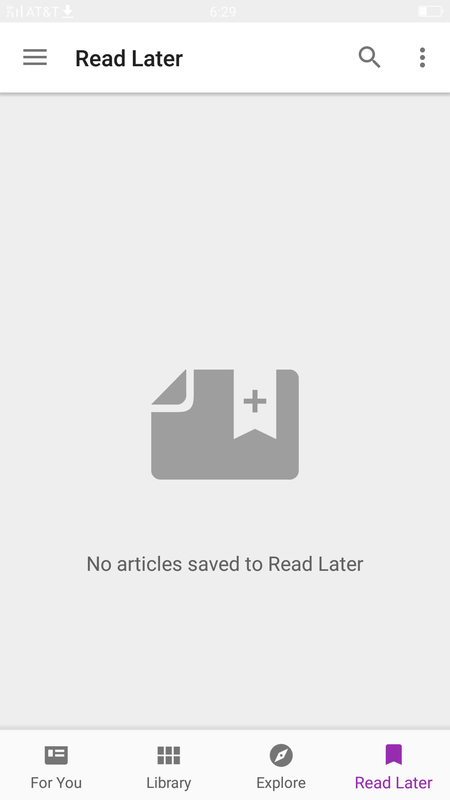 This app tends to be ignored, mostly because it is not one of those usually pre-installed applications, but it is a very convenient way to consume news and magazine content. The app hasn’t changed much in a while, but it seems that’s because they were buttering up a significant upgrade, which is now rolling out. What’s new in update version 4.0? The changes are mostly in the design. The app looks different and sections are organized somewhat differently, so it will definitely require some getting used to. Let’s take a look at some of the changes. 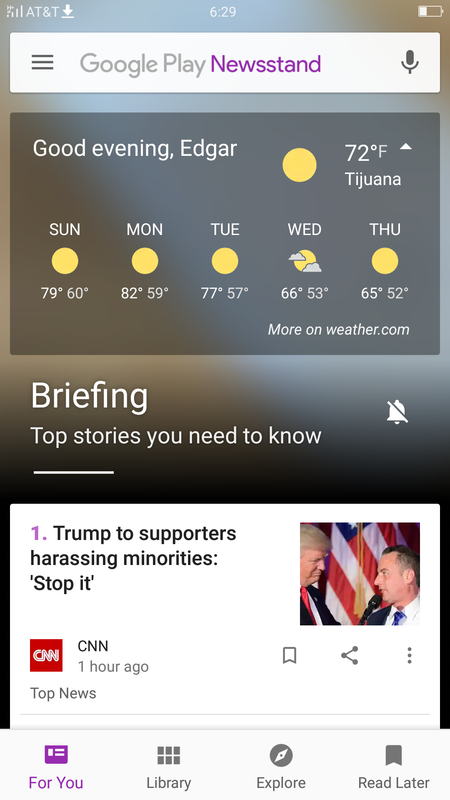 For starters, the new center of attention is turned to the “briefing” section, which pretty much shows the most popular news stories around. Think of it as a news hub. 4 new main sections have been placed at the bottom of the screen. These are labeled “For you”, “Library”, “Explore” and “Read Later”. Then you can access each of these sections to consume content in different manners. The search bar has also been updated to look and work like the now-standard Google search bar you see everywhere. 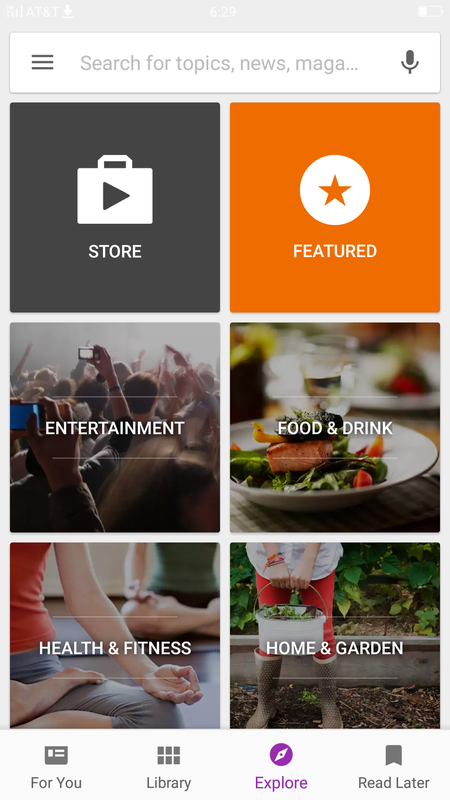 It covers the whole top of the screen, while offering suggestions, a menu section, voice commands and more. Extra features and menus have also been included to the settings. Overall, it feels like a good direction to take. The interface looks modern, sleek and is very interactive. Would you like to see this design language coming to other apps?